Wickley is built for Building Services, Architecture, Engineering, Cleaning Service and other Construction related services and it is suitable for any kind of small business activity, Maintenance, Painting and Decorating, Refurbishment, Partitions & Ceilings, Plastering & Rendering, Carpentry & Joinery, Built in Furniture, Flooring, Plumbing and others. 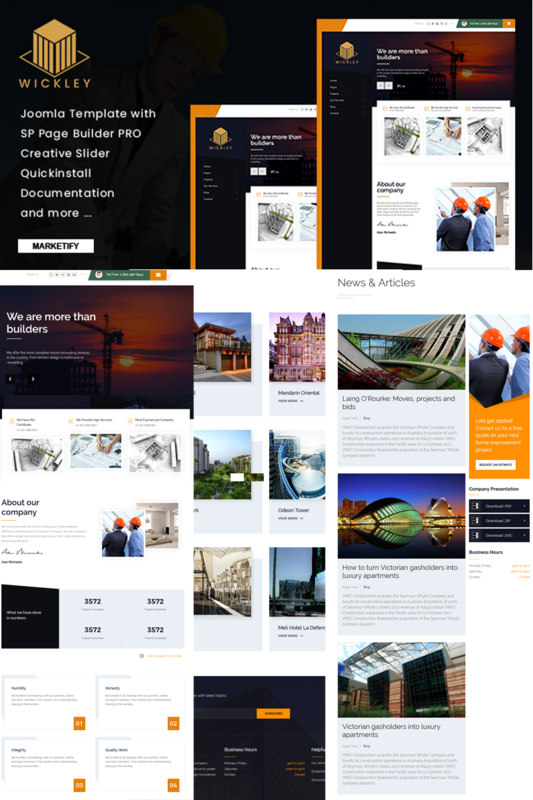 It has purpose oriented design and comes with Opening Hours, Free Consultation , Project, Project Single , Service , Service Single , Blog , Blog Single and other pages. Wickley is responsive Joomla Template with J2store extension for Ecommerce.